Indications are Germany and France are Planning to Take the E.U. into the B.R.I.C.S. Group Dumping the US Dollar – President Trump Will Retaliate. But How? The spiralling scandal over mass US surveillance of digital communications was recently moved to the top of European politics for the first time, with the EU’s two key leaders, Angela Merkel and François Hollande, seeking a joint response to the spying claims. With Germany and France reeling from allegations that the US National Security Agency tapped Merkel’s mobile phone and intercepted the calls and text messages of millions in France, a EU summit in Brussels was forced to grapple with the issue. The Germans made plain that they were unhappy with the White House cavalier response to the tapping allegations following a 20-minute phone call between Merkel and Barack Obama. “Spying on friends is not on at all,” Merkel said going into the summit in her first public comment on the row. The EU acted quickly fast-tracking draft rules regulating how digital data would be transferred between Europe and America, aimed at curbing the ability of big US internet providers and social media corporations to retain European data and make it freely available to the NSA. NSA surveillance controversy centred on U.S. fear that Europe’s economic powerhouse intended to dump the dollar in favour of joining the BRICS nations, and that this is why the NSA was caught spying on Angela Merkel and other EU leaders. 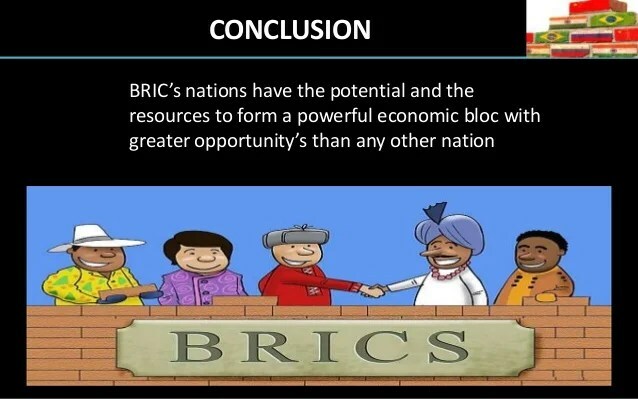 The BRICS nations (Brazil, Russia, India, China and South Africa), recently announced the creation of a new $100 billion dollar anti-dollar alternative IMF bank to be based in Shanghai and chaired by Moscow. In November 2010 Russia and China agreed a free trade deal using an electronic currency which translates the value of each currency at the time of transaction allowing financial business to be completed without the need to use the US dollar as a world reserve currency. The group of countries is expanding rapidly and now includes well over half of the World’s nations. The US dollar is largely marginalised by result and is in deep trouble. Prospects for the US economy are not bright unless the Federal Bank of America adjusts to the new reality. Many millions of US citizens presently struggling to survive on a fixed income will suffer increasing hardship. There is disquiet in Europe about the constant pressure of the U.S. and Britain pushing for ever increasing stringent sanctions on Russia despite the fact that they have had little effect so far and only appear to be harming the trade interests of countries in mainland Europe. The EU is “caught between a rock and a hard place.” and confronted with the reality of a prolonged recession it will need to act soon, either retaining the policy of backing the American dollar or opting to join the BRICS nations. 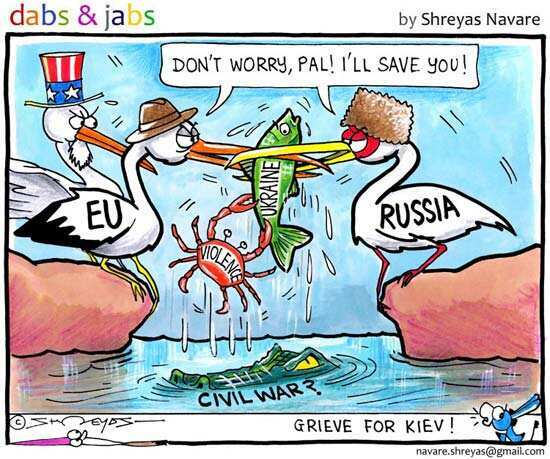 If Germany and France opt to join the BRICS countries and the rest of the EU follows there is a distinct possibility that the American dollar will crash and the US would then be forced to join BRICS as an equal member. It appears that the aggressive policies of the President Bush and Obama administrations over the last 20 years may have sealed the fate of the US as the leader of the free world. There is a growing consensus that the US is the “rogue” nation and not Russia. Is the American Led Globalisation Agenda Defunct? Social and philosophical beliefs and structures cannot be forced on people with result that the American concept of “Globalisation” was never going to succeed. since in order for it to become universal it had to be accepted and it wasn’t. BRICS countries now wield much more power and the policy makers of the world will need to give urgent attention to addressing the new world order. The abandonment, by the world’s nations, of American leadership and moral values coupled with the introduction of a new order will take time to evolve. In the best case scenario the US President Trump led administration will accept it’s new place in the World order concentrating its efforts on domestic issues and trade. Foreign policy no longer requires the US to act as judge, jury and executioner in disputes between countries and/or within regimes, the conduct of which might not be agreeable with the standards of the US. There are many issues between and within countries needing addressing and resolving without the influence of external agencies and there are concerns that the US may refuse to accept a future in which it is no longer the leader in which case portents of disaster should be heeded. Donald Trump’s successful 18 month campaign for the presidency of the US was a battle of conflicting ideologies and his bombastic style and abrasive conduct earned him the open animosity of much of the Western establishment, something no U.S. President has ever had to face before taking office. The World Leaders Congratulate Trump on his Victory Or Do They? The Prime Minister of Canada, Justin Trudeau was more succinct confining his comments to saying that he looked forward to working with Trump, indicating his willingness to renegotiate the North American Free-Trade Agreement, which Mr. Trump had been critical of on many occasions in the course of the campaign. President Putin and many other World leaders enthusiastically welcomed Trump’s victory, or at worst wisely offered no comment. Middle East countries cautiously welcomed the outcome hoping US foreign policy would bring about a speedy withdrawal of their armed forces from countries such as Syria, Iraq and Libya. On 20 January 2017 President Trump, a business man with no experience of governance or diplomacy will take up office in an unstable World, similar to that preceding the two World wars of the previous century. 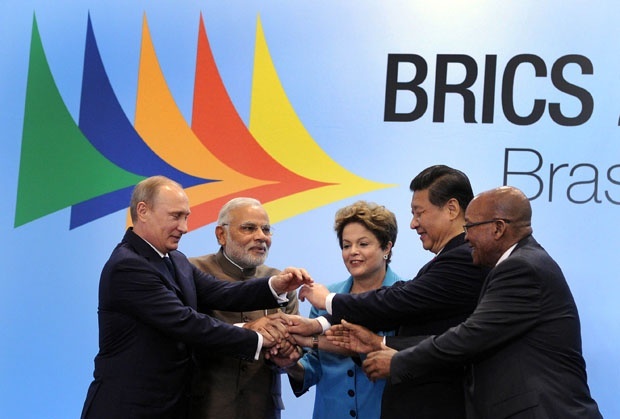 Will Germany and France take the EU into the BRICS camp? We live in interesting times.